20– Dejah Mulipola- Jr, Arizona – Mulipola was a Second-Team All-Pac 12 performer and a member of the Pac-12 All-Defensive team in 2018. Mulipola was also a First-Team NFCA All-West Region selection. She started all 59 games at catcher finishing third on the team in home runs (12), RBI (36), and runs scored (35). Mulipola will be part of U.S. National Team in 2019. 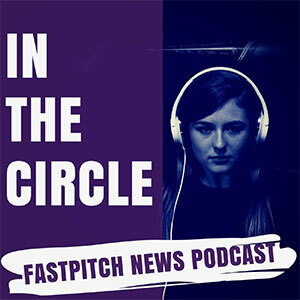 19– Summer Ellyson- Jr, Louisiana – Went 23-10 with an ERA of 1.53 in her first season as a full-time starter. Ellyson ranked in the top 30 nationally in fewest hits allowed and wins and top 40 in ERA and total strikeouts. 18- Sydney Romero- Sr,Oklahoma – Romero hit .395 with 12 homers and 61 runs batted in for the Sooners in 2018. 17- Kelsey Horton-Sr, New Mexico State – Horton batted .402 with a .487 on-base percentage and a .911 slugging percentage in 2018. Horton set the program record for home runs (25) and total bases (154) in a single season. 16- Giselle Juarez- Junior, Oklahoma – Juarez went 22-6 record, posted a 1.22 ERA, and recorded 305 strikeouts in 224 and 1/3 innings of work in 2018. She led the Arizona State Sun Devils to the World Series, where they were eliminated by Oklahoma where Juarez now calls home. 15- Nicole Newman- Sr, Drake- In 2018, Newman went 22-5 with a Missouri Valley Conference best 0.89 ERA and 245 strikeouts, which ranked second in MVC. Newman helped Drake dominate the MVC winning the regular season and conference tournament championship while advancing to NCAA Tournament. 14- Taylor McQuillin- Sr, Arizona– McQuillin was a First-Team All-Conference and All-Region pitcher. McQuillin led the nation with 15 shutouts, becoming the first Wildcat to do so since the NCAA began tracking the statistic. McQuillin went 28-12 with a 1.68 ERA over 35 starts, striking out 287 batters – good for third most in the conference and 11th most in the country. 13- Kendyl Lindaman- Junior, Florida – Lindaman joins Florida from Minnesota where she won two Big Ten Player of Year awards and helped the Gophers to the Big Ten Regular Season Championship in 2017 as well as the Big Ten Tournament championship in 2017 and 2018. 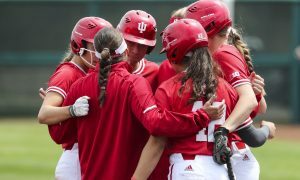 Lindaman ranked 8th in NCAA and first in Big Ten with 20 home runs during 2018. 12 – Bubba Nickles- Jr,UCLA : Nickles hit 413 with 10 home runs and 52 runs batted in while playing great defense in outfield for the Bruins. 11- Miranda Elish- Jr, Texas – Elish went 25-2 with a 1.20 ERA as a sophomore and was a Second-Team All-American in leading the Ducks to a Pac-12 Championship and trip to Women’s College World Series. Elish transferred to Texas to reunite with Head Coach, Mike White. 10- Alyssa DiCarlo- Sr, Georgia : DiCarlo led the SEC with 21 home runs which ranked 6th in NCAA and ranked 12th in nation slugging .850. 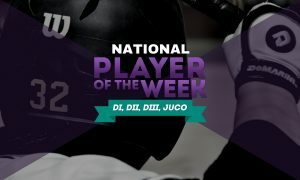 DiCarlo finished first in the SEC and fifth in the nation with 153 total bases and DiCarlo was selected as a First-Team All-American, leading Georgia to the Women’s College World Series. 9- Megan Good– Sr, James Madison : Good is scheduled to return to the field for James Madison in 2019 after missing all of 2018 with an injury. Before her injury, Good was a top three Player of Year finalist in 2017 hitting 12 home runs with 58 runs batted while going 38-3 with 0.63 ERA. Good would be higher on this list if not with questions on how she do a year remove from playing. 8- Meghan King– Sr,Florida State : King helped lead the Seminoles to its first NCAA National Championship. King led the team and the ACC with a 1.17 ERA and recorded a 26-6 record with three saves. She struck out 190 batters over 198.0 innings. 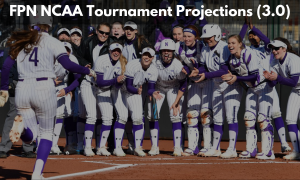 King was outstanding at the 2018 Women’s College World Series, posting a 4-0 record with a 0.20 ERA over 34.1 innings, which is the lowest ERA in the history of the WCWS. 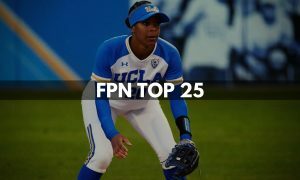 7– Aliyah Jordan- So,UCLA : Jordan led the Bruins with a .429 average with 12 home runs and 67 runs batted in as a freshman. 6– Meghan Beaubien-So, Michigan : Beaubien led the NCAA with 33 wins which tied for 4th most in a single season in Michigan program history. 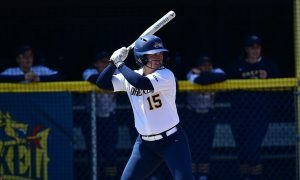 Beaubien was a top three finalist for NFCA Freshman of the Year and a top ten finalist for USA Softball Collegiate Player of the Year while leading the Wolverines to the Big Ten regular season title. 5– Amanda Lorenz- Sr,Florida : Lorenz hit .416 with 11 home runs and 61 RBIs. 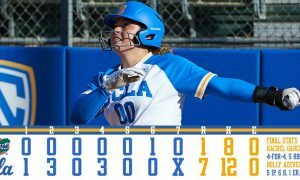 She also posted a .582 on-base percentage en route to leading Gators to SEC Championship and another trip to the Women’s College World Series. 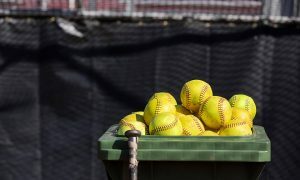 4– Mary Haff- So, Arkansas : Haff posted a 29-7 record on a 1.51 ERA as a freshman leading Arkansas to the Super Regionals for the first time in program history. 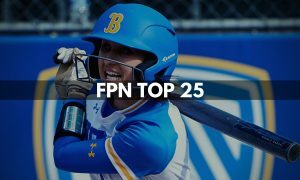 3- Kelly Barnhill- Sr, Florida : Barnhill won the award in 2017 and was a College Softball Player of Year of finalist in 2018 finishing in the top four. Barnhill won SEC Pitcher of Year in 2018 with a 29-3 record on the season with a 1.08 ERA and 324 strikeouts. 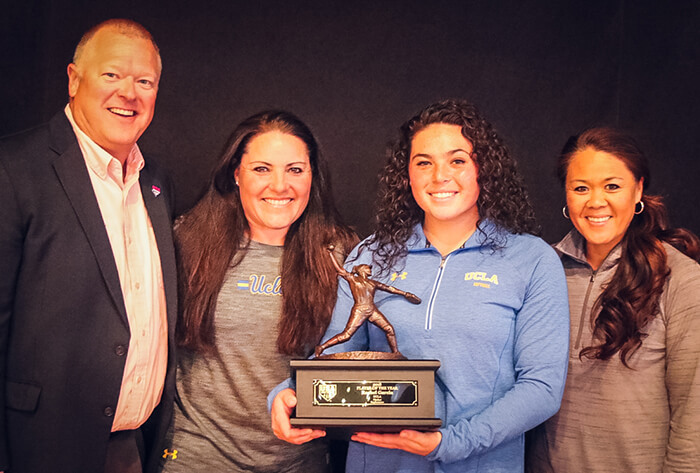 2– Jocelyn Alo- So, Oklahoma : Alo hit 30 home runs with 72 runs batted in, a .977 slugging percentage, and a .420 batting average on her way to winning Freshman of the Year and finished as a top 10 Player of Year finalist. Now all eyes will be on Alo to see how she will follow up in her sophomore season and continue to be a possible threat to former Sooner great Lauren Chamberlain’s career home run record. 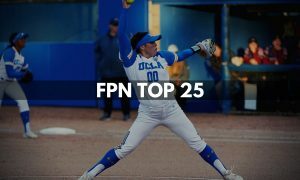 1– Rachel Garcia- Jr, UCLA : Garcia won the award last year leading UCLA to Women’s College World Series with 29-4 record with a 1.31 ERA in the circle while hitting .339, notching 11 home runs, and punching in 54 RBIs at the plate. 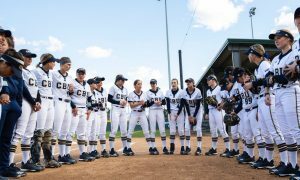 Garcia looks to join Cat Osterman (03,05,06), Danielle Lawrie (09,10), and Keiliani Ricketts (12,13), as student-athletes who have won the award in back-to-back years. Garcia was part of the 2018 USA Softball National Team World Championship roster in 2018 WBSC Women’s World Championship where Garcia helped them win the Gold medal and automatic bid into 2020 Summer Olympics.